The second book of The Last King of Osten Ard won't be available until mid next year, but I am already clamoring to get my hands on a copy. Are you excited for the Empire of Grass by Tad Williams as well? In retrospect, Williams is one of my favorite authors ever since I read one of his novels called Shadowmarch. Since then I tried to get a hardcover copy of each and every of his novels if I could ever manage. That is mainly why I am excited for this next book, and this cover reveal just multiplied it ten-fold. Check out the cover of Empire of Grass by Tad Williams. At this point I am not yet sure if this is the official cover for the US or the UK edition. The only thing I could say is that it is beautiful indeed. On the otherhand, my demonic OCD is telling me that it does not match the format and layout of the covers of both the UK and US edition of The Witchwood Crown (Book 1 of The Last King of Osten Ard). The kingdoms of Osten Ard have been at peace for decades, but now, the threat of a new war grows to nightmarish proportions. Simon and Miriamele, royal husband and wife, face danger from every side. Their allies in Hernystir have made a pact with the dreadful Queen of the Norns to allow her armies to cross into mortal lands. The ancient, powerful nation of Nabban is on the verge of bloody civil war, and the fierce nomads of the Thrithings grasslands have begun to mobilize, united by superstitious fervor and their age-old hatred of the city-dwellers. But as the countries and peoples of the High Ward bicker among themselves, battle, bloodshed, and dark magics threaten to pull civilizations to pieces. And over it all looms the mystery of the Witchwood Crown, the deadly puzzle that Simon, Miriamele, and their allies must solve if they wish to survive. But as the kingdoms of Osten Ard are torn apart by fear and greed, a few individuals will fight for their own lives and destinies—not yet aware that the survival of everything depends on them. 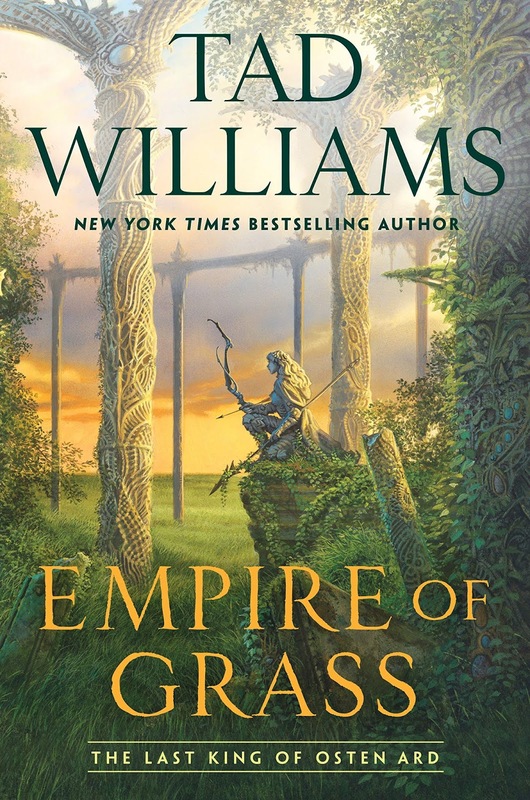 Empire of Grass by Tad Williams will be released on May 7, 2019.